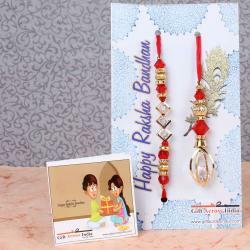 Product Consists: Round Shape Kundan Bhaiya Bhabhi Rakhi nicely tied on a designer Card. 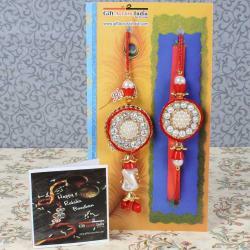 Raksha Bandhan is festival of family celebration with joy and happiness. Rakhi is the not just for a brothers and a sisters to show their love, respect and care for each other but also express emotion toward sister in law too. Strengthen your lovely bond with your brother and sister in law. 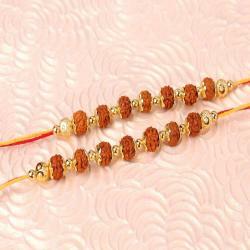 This Bhaiya Bhabhi rakhis feature very beautiful and unique, enough to delight on both wrists. 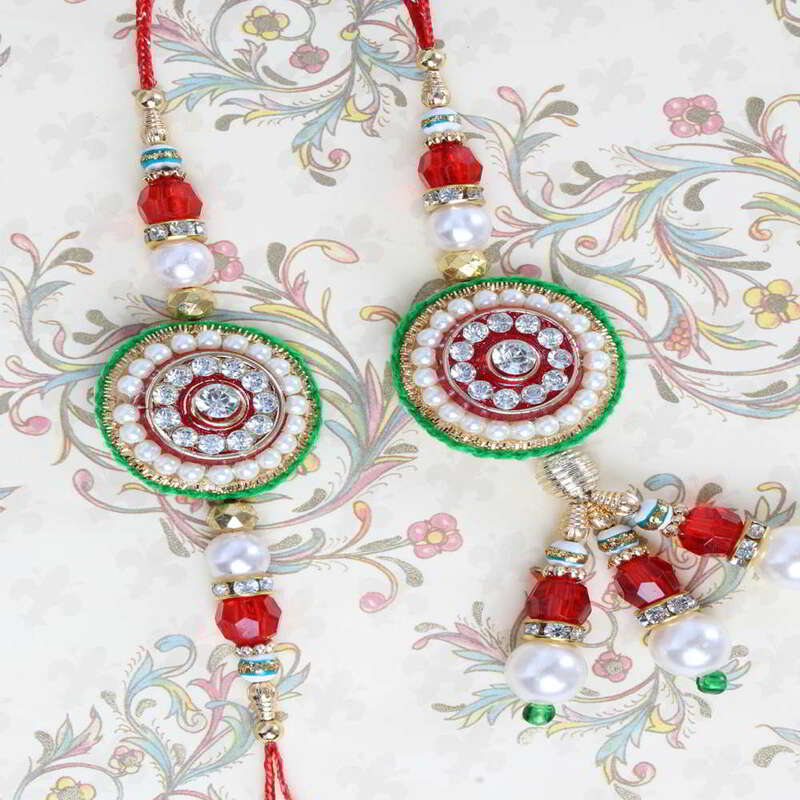 Choose this amazing kundan designs Rakhi Lumba for your sweetest Bhaiya Bhabhi that will leave them amazed forever. 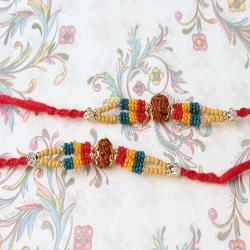 Buy this super classy pair of rakhi for the couple to impress them on this special occasion. 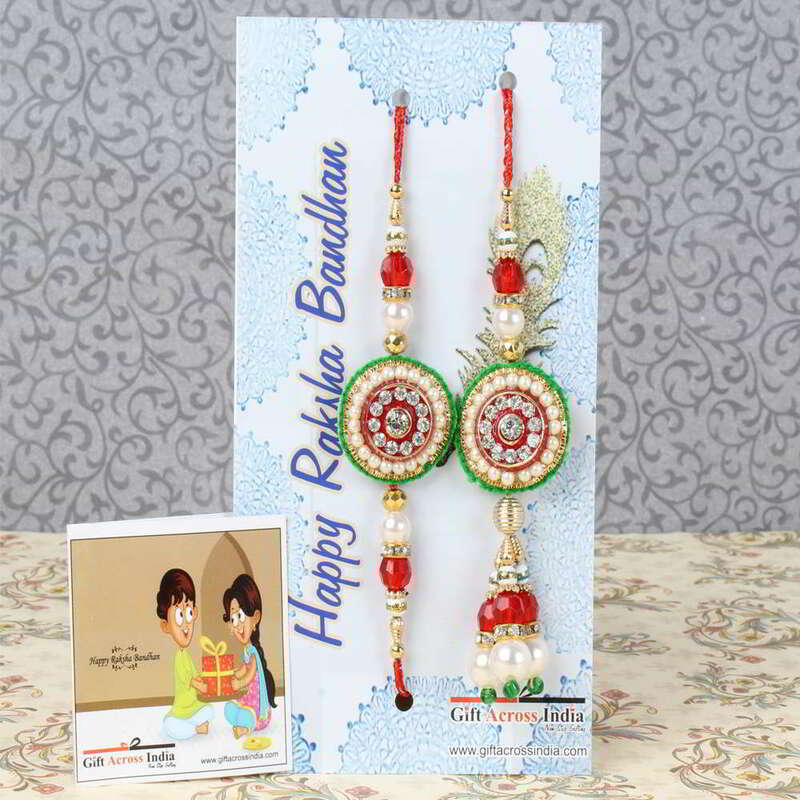 Product Includes: Round Shape Kundan Bhaiya Bhabhi Rakhi nicely tied on a designer Card.